﻿ What is Comfort Food? Which Greek dishes are comfort foods? What is Comfort Food? 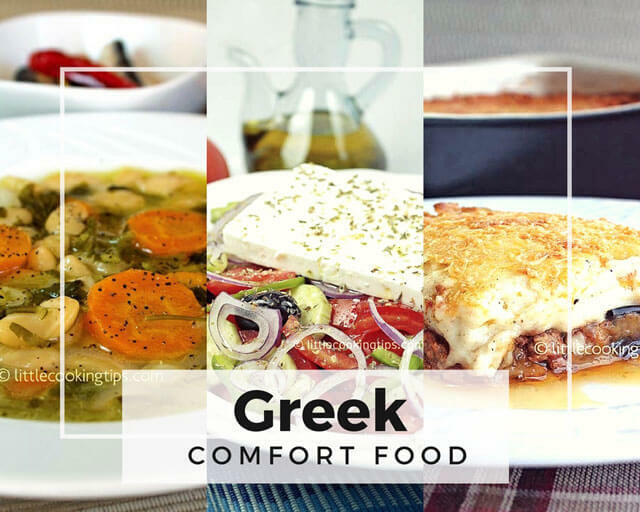 Which Greek dishes are considered comfort foods? The term “Comfort Food” is one of those that are appearing more and more, in articles regarding cooking and gastronomy. However, there are still many people who don’t know what exactly does this term mean; even if they have some idea of what it means, people are often facing some difficulty to judge whether a food is a comfort food or not. What is comfort food?The definition used by most people, is the one from the Webster dictionary, according to which, comfort food is a traditional food which has a "nostalgic" or sentimental effect to the person who is eating it. This is quite a broad definition, isn’t it? In our opinion, comfort food, cannot be defined in strict terms. The reason for this, is that comfort food is related to feelings. It’s related to foods that are making us feel good, creating positive emotions. Therefore, that may differ from person to person. Moreover, this category of foods, includes traditional dishes, which we tasted in the family table and have sentimental value to us. We believe that there are two main categories of comfort foods: a) foods related to tradition and culture, which are different from country to country and b) foods that have a sentimental value for an individual but may not be characterized as comfort foods for the general public. In the Greek local culture, there is a large variety of traditional dishes and desserts which can be defined as comfort foods; All of them are related to Greek customs and the Greek family table. - Galaktoboureko (phyllo and cream with syrup dessert), Baklava (phyllo with syrup and pistachios or/and walnuts), Kadaifi (pastry which looks like angel hair pasta with syrup and nuts), Ravani (Semolina cake), Samali (Semolina cake with Chios Mastic), Rizogalo (Greek Rice Pudding). - Traditional ice cream like Kaimaki (Chios Mastic flavored), or Pistachio flavor. As you can see, these are foods which Greeks are introduced to since childhood, and are part of the Greek gastronomic tradition. Therefore, they have a strong sentimental impact when consumed by Greeks. We mentioned some foods related to tradition and the local culture; but there are also some, which can be defined as comfort foods as well. These are foods, that can be characterized as comfort foods for an individual. Each person has a different personality and preferences. Therefore, a food may have a sentimental value to an individual, and constitute a comfort food just for that person. The same food may not be a mainstream comfort food for the general public, but it still it is a comfort food to that person. So, a comfort food for a Greek individual, may as well be some roast octopus, some fried eggplants, or even chocolate cookies. If you take a look at comfort foods, you'll notice that they are usually foods that are high in fat or carbohydrates (or both). This can be easily explained; foods with high fat content are usually tastier (just look at bacon for example!) and therefore are fulfilling our need for gastronomic pleasure. On the other hand, foods which are high in carbohydrates have been reported in various articles or studies, to positively affect the psychology. After all, the brain uses such foods as a fuel. So it’s only natural, that most comfort foods have a high content of either or both of these nutritional categories. Comfort food is the food that makes one feel good! As a conclusion, one can argue that comfort food is simply the food that creates good, positive emotions. Some types of food that have such an effect in large parts of a society are common, global, comfort foods, because they are connected to common experiences and traditions. Other foods are also comfort foods for an individual, as they are connected to personal experiences and are better serving one's preferences. 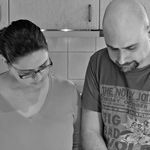 When discussing cooking and gastronomy, one doesn't have to be so "strict" when using such terms, as they are connected to feelings and emotions, which can vary from person to person or country to country. So let’s all enjoy our favorite comfort food every now and then, the one that lifts our spirit up, and makes us feel great! We would like to thank the nutritionist-dietician Ms.Vicky Papavasileiou (email: [email protected]), for her feedback on this article. interesting article on comfort food. Very interesting to see comfort food of Greece, I am particularly drooling over the spinach pies, gyros and Diples. I've wanted to try diples for a while now..Love greek food. 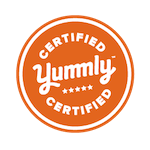 Great article about comfort food! I also believe that varies from country to country or even to a person to the other.